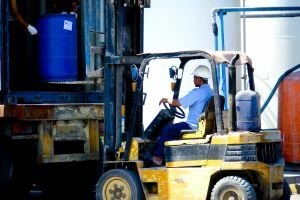 This week the U.S. Department of Labor’s Occupational Safety and Health Administration (OSHA) announced a new initiative to help protect temporary workers from workplace injuries. The memo and plan comes after a series of reports OSHA received about temporary workers suffering serious and fatal injuries during some of the first days on the job. The most recent fatality report was in February when a 21-year old employee was crushed while on his first day at the Bacardi Bottling Corporation. The man was not a regular employee, and was hired as temporary. Bacardi Bottling received twelve safety violations, including nine serious violations which totaled fines of $192,000 after the incident. The new memo and subsequent initiative, which OSHA has already begun implementing, acknowledged the often lack of training given to temporary workers because of their short-term status, and the need for more regular inspection of workplaces and enforcement of safety regulations on behalf of OSHA officials. The memo also acknowledged the need for regular interviewing of employees to ensure they have received the proper training in their native language, because temporary employees are often foreign and do not natively speak English. 1.) Do more regular inspections of workplaces to assess whether employers are complying with their responsibilities under OSHA laws. 2.) Use a new code to denote when temporary workers are exposed to safety and health violations. 3.) Assess if temporary workers have received required training in a language they understand. Ultimately it is the responsibility of the employer to ensure safe working conditions as well as proper training for all employees to prevent workplace injury and death. While workplace injuries are not always preventable, it is the job of the employer to do all that he or she can to enforce proper safety precautions and make sure all of his or her employees are appropriately trained before starting their job. At the law offices of Altman & Altman, our team of attorneys has nearly 50 years of experience handling worker injury and workers’ compensation cases. If you have any questions about an injury you sustained while at work, give one of our experienced attorneys a call for a free consultation. We are available around the clock to answer your questions.